The roll-out of the new fall season is just around the corner — but before our favorite network shows return with their new seasons, we have some unfinished summer business. 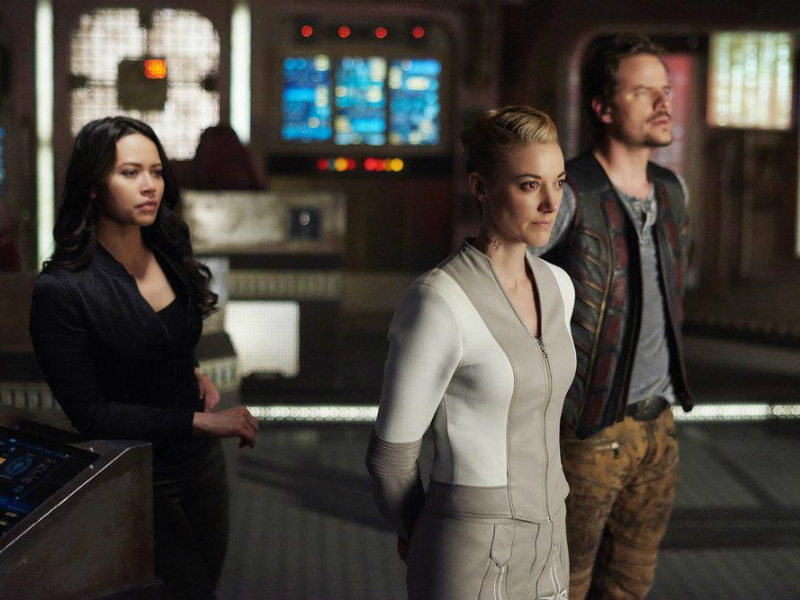 Alongside a new episode of Fear the Walking Dead on Sunday (the season wraps with a double episode on October 2), this week brings us to the exciting second season finale of Syfy’s Dark Matter. All season long there have been hints that the galaxy is slouching toward all-out war, as the corporations jockey for power and the Galactic Authority loses its grip on law and order. In Friday’s finale the Raza crew must step up and do what they can. But, however things turn out, don’t worry — the show is coming back for a third season next summer. 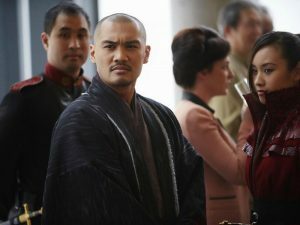 “But First, We Save The Galaxy.” The Raza crew try to prevent intergalactic war, but will one of their own betray them? “Pillar of Salt.” At the Colonia, Alejandro reveals his darker side; a hotel resident becomes violent and Madison springs into action.